Hi there friends, your favorite Spanish lessons are back! 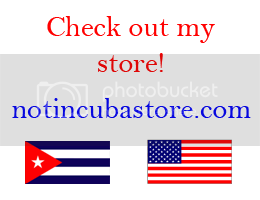 In no time, you'll be speaking Cuban! "Tu eres más rollo que película"
Trans: That person disappeared. Haven't seen him in a long time. "Ese tipo es un filtro"
"Pasar el Niágara en bicicleta"
Lit: To travel the Niagara falls on a bicycle"
Posted in cuban american, cubanisms, funniest blog ever, israel sanchez, not in cuba anymore . Bookmark the permalink. RSS feed for this post.